These days the computer is one such device that is found in every house and used for every type of business. One can’t imagine life without computers. Almost all the work will be interrupted if the computers at your desk stop working. Though the technology is designed to give you maximum support, it is very natural to have some malfunctioning and operational errors at times. However, if you have a back from some reliable computer repair services you can easily approach them for repair of computer hardware as well as technical support. 1. Go Through Feedback: A good company profile speaks up for itself through good reviews and feedback given by the clients and customers. It provides a good impression and gives a fair amount of idea about the computer repair services located in the area. Also, asking for some references from friends, professionals, and colleagues helps is making the decision much easier. 2. 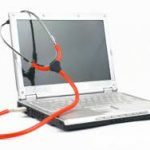 On-site Repair: It is always good to have a computer repair technician who can visit your place to diagnose the problem with your computer. There is a fairly good amount of data in your computer that can be taken or be stolen away easily. So, it is always a better plan to opt for a service which is trustworthy. However, for the on-site visits, the technicians might charge you more but it’s always easier and convenient for the customers ensuring safety to their data. 3. Cost and Job Quotations: Be sure that the company provides you with a detailed repair quotation which includes both the cost of the labor and parts if required. Getting the quotation will ensure you with the correct cost of the service beforehand provided by the repair company. This allows you to avoid big bills as a printed estimate before the job always keeps you informed about the service charges. 4. Check the Repair Guarantees: Before hiring any random computer repair technician, please check whether the company provides you with the repair warranty. Generally, the reputed companies provide “No Fix No Fee” policy in which the technician does not charge if the problem is not fixed. Also, when a business implements such a policy, it helps the technician to ensure that your system is repairable or not. 5. Credentials: It is essential that the PC repair technician should be a qualified and licensed technician. 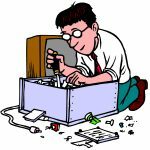 They must not make any mistake that can cause big problems for your computer system like data loss or short-circuiting. A licensed computer service ensures more quality work then the non-licensed one. Therefore, it is mandatory for a customer to check the business license number from the licensing authority before hiring. So, if you are searching the web to find a “reliable laptop repair near me”, all you need to do is simply keep the above steps in mind for finding a reputed and established laptop repair service. Thank You! Imagine a situation where you were working on an important project at your workplace since the last 2 months, and one day suddenly your computer crashes! God save you if you have a backup of all the data that you have worked on till now, but what if you haven’t? You sure would dread being fired by your boss. However, with data recovery services Los Angeles, it’s impossible that you witness such a day. 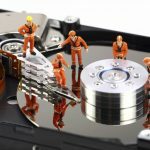 Whether you have lost your precious data from your flash drive, memory card, hard drive, or any other possible device where you could store your data, a data recovery services Los Angeles agent can help you restore it at the earliest. Loss of data can happen either due to internal damage to the driver software of the device, or due to an external damage caused to it. With a little technological help from the data recovery service agents, you can save yourself a lot of trouble. Heroes & Geeks is an experienced and technologically advanced firm providing a host of computer hardware and software related services like system repairs, installations, troubleshooting, on-site assistance, upgrades, networking solutions, virus and spyware removal, Mac support, etc. Thanks to the knowledgeable and experienced staff members, you can receive 24*7 personalized technical support according to the problem you are facing. The data recovery services Los Angeles provided by Heroes and Geeks is unmatched and a step ahead from other service providers offering similar facilities. It offers services at budget friendly prices, especially for students. Your problem of lost data recovery can be fixed at the earliest due to the technologically equipped team of Heroes and Geeks. You can enroll for their services for your home desktop or laptop maintenance, or even for your commercial space, at very affordable rates. There are options for having a personalized technician depending on your needs regarding the same, or you can have one-time repair features and even monthly maintenance systems. Services are bundled in different packages and you can select them on the basis of your affordability. Just in case if you were wondering, you can all get all brands of devices repaired here. As regards, data recovery services Los Angeles, the technicians will help you restore them irrespective of the brand of the device or system you are using. All you need to do is just give them a call, and your problematic device can be picked up free of cost from your doorstep.